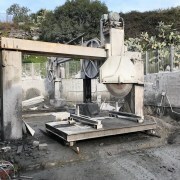 The block cutter is a machine for cutting marble, granite and stone blocks into tiles. 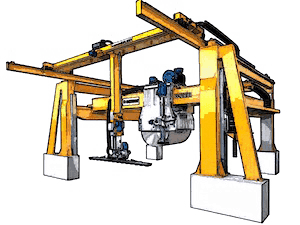 It can be with 2 columns or 4 columns and it’s characterized by a bundle of vertical discs (single or multi disc) plus a horizontal disc with a tiles automatic unloader (optional). 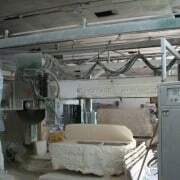 The block cutters differ between block-cutting machines for marble and block-cutting machines for granite. 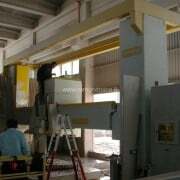 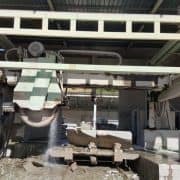 Max block size: 3.500 x h 2.000 mm Spindle power of vertical blades: 50 HP Spindle power of horizontal blades: 30 HP Cutting speed on marble: 14 m²/h Cutting speed on granite: 2-3 m²/h (according hardness) Rotating carriage: 360° This machine was overhauled in 2016. 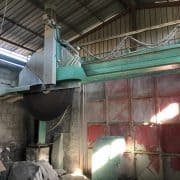 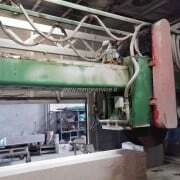 Max blade diameter: 2200 mm Block cutter with table Automatic grease system Mounted blade: 2000 mm The price includes dismantling and loading in containers. 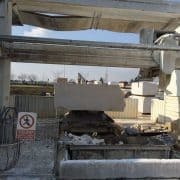 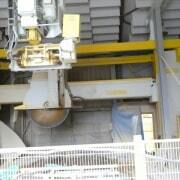 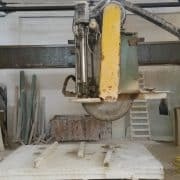 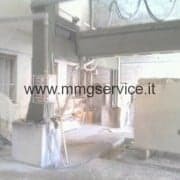 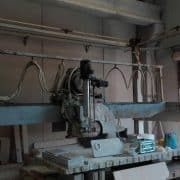 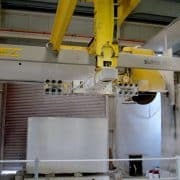 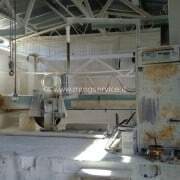 Used block cutters for marble Terzago T121 with rotating table.